The American Dream. Life, Liberty, and the pursuit of happiness. Of course, post-Christian modernism has expanded the definition to include your own home, minimum wage, free healthcare, sexual debauchery, and a million other entitlements. What is the Christian dream? The chief end of man is to glorify God and enjoy him forever. 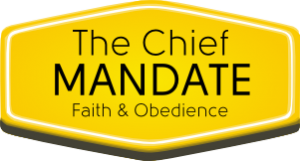 The dominion mandate is to bring all of creation under the Lordship of Christ. It is our joy to be His servants and ambassadors to the kingdoms of earth. I posit here that the chief mandate of the Christian is to worship the Creator God, to glorify Him, to enjoy Him, to serve Him. The Westminster Catechism’s first answer can be summed up in this act of worship. And how do we worship the Eternal Immortal Invisible? How do we bring glory to His Name? How can we be fulfilled in the life He created in us? Joyful fulfillment comes through faith and obedience. And that is the primary directive of the Christian: faith and obedience.